The service for leasing and renting mining rigs for different crypto algorithms – Mining Rig Rentals has added support for the Dagger-Hashimoto algorithm that is used by Ethereum (ETH) as well as some other coins that have since been forked from it. There are two categories for Ethereum mining rigs available and we need to clarify the difference as there might be some confusion as to why. Dagger-Hashimoto(G) is for rigs that support Getwork while Dagger-Hashimoto(S) is for rigs supporting stratum, most of the Ethereum mining pools do rely on Getwork, though there are a few such as Ethpool that support stratum over their own miner called qtminer as well as getwork with standard ethminer. There is also the option to use a stratum proxy that will translate to getwork requests as an alternative to a pools directly supporting a stratum implementation for mining. 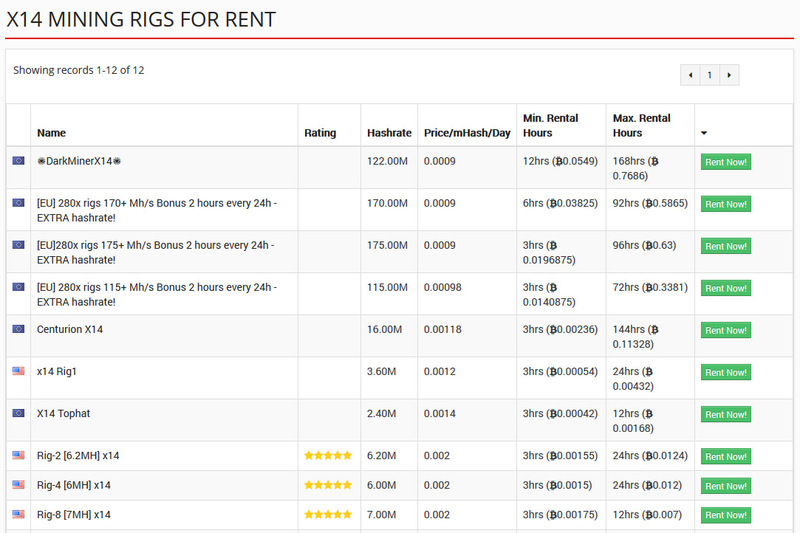 The current stats show that out of 55 available getwork rigs 22 are available for renting or about half, but there are no rigs with stratum support currently listed at the service.